The path here runs to the right of the embryonic River Esk, though rarely beside it. It is not visible in this picture except in the foreground - it turns sharply right. 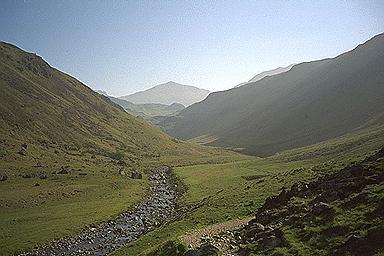 Bowfell's shapely summit appears in the distance. Larger version of this picture.